And? I understand that they may have done that, but look at this board for Christ sake I've read since about page 33 up until now, and guys like G-dawg and others seem to be the voice of reason at this point. Any kid decides to transfer go right on ahead coaches still leave all the **** time there is no such thing as loyalty anymore. Those days are long dead, and just because UGA kicked the boy out we don't know how Justin feels about that can't just go telling people to get over **** when it didn't happen to you. If he's leaving I'll root for him whenever he lands. No different than when everyone thought Eason was headed to Washington. He wasn't actively being recruited by Peterson, but there most certainly were back channel discussions. 1. That's a different situation. Eason is from Washington state and had visited UW multiple times, even after Richt was fired and his commitment was briefly in question. OSU just lost their coach to "retirement" after an ugly scandal and I think Fields only ever visited OSU once... and he's from Georgia with no immediate ties to OSU. 2. No one came out and said "Washington is the favorite" the same day rumors of his transfer came up. People thought he could go almost anywhere - and in truth, Miami and Washington State were both said to be favorites before UW became the known landing spot. 3. I don't doubt "back channel discussions" happen, but it is a significant violation called tampering that can and has landed programs on probation with loss of scholarships. It's classified just a level below lack of institutional control. If Rusty had said Penn State it would be different for me. Saying OSU is the favorite when Justin Fields is practicing with the team and has not even put his name on the national registry yet is something else. Doesn't that same Cam have a Natty, Heisman, and MVP plus superbowl appearance. I can smell the hater on you, and it's loud as ****. Where's his ring? Right.. he jumped away and got scared. Doesn't matter what happened dude stop hating good grief. 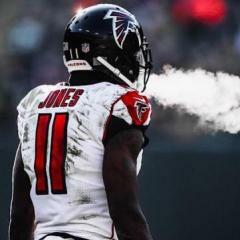 He's got more than Matt Stafford, Aaron Murray, or any other Georgia player in 30 something odd years. The really messed up part of this is that the race card is obviously the attorney's idea. He thinks it's their best avenue to gain immediate eligibility. It won't work. 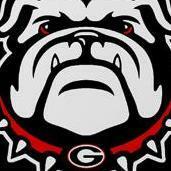 UGA handled that situation promptly and appropriately and Fields played numerous times after that. Fields has no argument to make for immediate eligibility. And maybe that's what his transfer decision is hinging on. If he gets cleared by the NCAA to play immediately then he will chuck deuces and be gone. If he has to sit out a year then it makes absolutely no sense because he would get valuable experience playing and practicing at UGA and possibly take over at UGA in 2020 anyway. But even the threat of playing that angle makes this a very serious issue. People need to understand that. Don't be surprised if we outright dismiss him from the team - unless he decides he wants to stay, makes a public statement and the family ditches the attorney. This could easily become a PR nightmare. You're talking to someone who got so mad at Mark Richt he started cheering for Bama. I've been wondering if Kirby would tell him to walk. I can't see how he would be allowed around the team, much less play in the bowl, unless he reaffirms his commitment to the team. If Fields isn't careful there may not be a path that leads back to Athens. Huh? I don’t get your logic. I’ve been frustrated with this team at times just as much as anyone but never to the point that I wanted to pull for another team. I wasn't so much mad at Richt, but UGA itself, and I'm over that now, but I do pull for both teams now. I don't mind yall giving me **** about it now cause it's just rolls off my back. In fact ever since that happened. I even told people Kirby would have us competing immediately. I don't hate UGA, but you're dumping on Cam I would say the same if you dumped on someone like Aj McCarron too. You called Justin Fields weak minded like Cam Newton. Far as I know that same weak mind has Heisman, NCAA Natty, MVP, and Super Bowl appearance as well. All I hear is someone hating because they aren't as successful as another person, and maybe you are, but it doesn't show. His logic? Dude...trying not to hate man. Welcome to the world of making big boy decisions Justin! There are no easy paths to success, only hard work, adversity and perseverance. Really enjoying all this recruiting discussion. Does anyone have a list of when recruits will be signing on Wednesday? I like seeing that DJ Williams is signing after Sanders. I sure want Sanders, but if we don't land him, Williams would be a great backup plan. 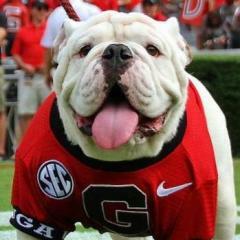 Also wondering if the loss of Fields cements Gabriel to UGA. I'm just talking about the on the field stuff I think he does crazy crap like that, but it's mostly outside of the field. Regardless of what happens with Justin wish him the best, and maybe Kirby will learn couple of lessons from this, and one being don't recruit back to back 5 star QB's. Actually think the only reason Saban can get away with that is he's won those Natty's so when a QB comes on they can be angry about not playing, but that's the house Saban built so it falls on deaf ears. Just because you rather wear wrangler jeans don’t make the next man a cross dresser because he choose not. Stay on topic. Who are the top 2020 qb's that we are going to be targeting? Anyone care to throw out who we might pick up tmr? I’m not an insider. Just reading the tea leaves here and there. Hoping to get this recruiting discussion back on topic the day before esd.